Changes to the frequencies used by Freeview will force viewers in parts of the Anglia TV region to retune this week. As a result, overnight interruptions to Freeview are expected during the early hours of Wednesday 6th June in the affected areas. This will also affect viewers with TV services from BT, TalkTalk, Plusnet or EE. Norfolk and North Suffolk will be affected by changes at the region's main TV transmiter at Tacolneston and a number of relays including King's Lynn and West Runton (for Sheringham and Cromer). A retune will be required to restore channels. Meanwhile, viewers in Luton, Kimpton and Dallington Park in the west of the Anglia TV region will be affected by changes at local relay transmitters. 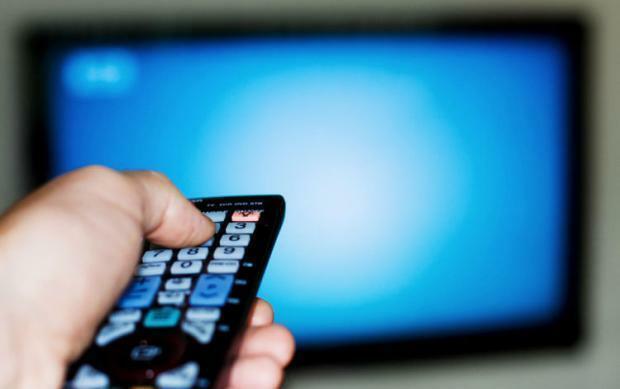 Cambridge's local TV service That's Cambridge will also be changing frequency on the morning of the 6th June, prompting a retune for some households. The changes follow a Government decision to clear some current TV frequencies for future 5G mobile services. Since last year, Freeview frequencies are being changed on a region-by-region basis, in a programme that will continue until mid 2020. Viewers are advised to do a full retune to restor channels. Functions such as 'add channels' on some older devices may not restore services, such devices may need the 'first time installation' or 'factory reset' option. Work is due to commence during the early hours of Wednesday 6th June 2018, when viewers will lose access to Freeview services whilst engineers make the changes. The work will be complete by 6am in most areas. Relays are subject to longer downtimes, which could last into the afternoon. A further change will affect Norwich local TV channel That's Norfolk on the 17th July, when it will change frequencies from the Tacolneston transmitter. That change was originally due to take place at the same time as other channels, but was postponed after delays in clearing frequencies in neighbouring regions. Viewers in Linnet Valley will see changes to their Freeview relay service on 19th July, also postponed from this week. Changes from Bedfordshire's Sandy Heath transmitter, also serving parts of Northamptonshire, Buckinghamshire and Hertfordshire, originally scheduled for 6th June are postponed until 17th July. Meanwhile, Freeview users in Mid and South Suffolk and North Essex will see changes to their Freeview service on the 1st August 2018. Viewers who are unable to restore Freeview channels following a retune can contact the Freeview Advice Line on 0808 100 0288. UHF channel numbers referred to here are frequency related, not actual TV channel numbers. You may need the UHF number for manual tuning purposes. Channels are grouped into bundles called multiplexes, which is why several channels are always affected by changes. All Freeview channels broadcast from this relay are changing frequencies. New UHF numbers: 23 (BBC), 26 (ITV, C4, C5), 30 (HD). Data from Digital UK and Ofcom. Simplified data prepared for a516digital.